Heidi Petschke, B.S., OTR/L graduated from Utica College of Syracuse University with a BS in Occupational Therapy in 1987. Her passion for working with children led to a career that spans four states and includes experience in both rural and urban settings. Heidi has worked in school based, pre-school and birth to three programs in NY, WV, TN and PA. She has also worked in homecare and center based rehabilitation settings at Strong Memorial Hospital and East Tennessee Children’s Hospital. Heidi’s post-graduate continuing education includes specialized training in Sensory Integration and Praxis, pediatric feeding and swallowing, Interactive Metronome, Neurodevelopmental Treatment and Greenspan’s Floortime approach. 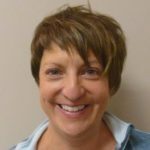 She is certified to administer The Sensory Integration and Praxis Tests and in Interactive Metronome (clinic and home-based). She is currently working toward a Certification in Assistive Technology. Heidi’s commitment to the core tenant of her profession helps her focus on helping each child use their unique strengths to overcome their challenges and be able to successfully engage in the world around them.